This year is a busy one in the world of books! A ton of highly-anticipated titles have hit shelves since January and plenty more are on their way. 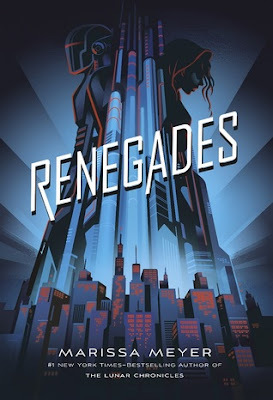 One of the 2017 new releases I can’t wait to read is Renegades by Marissa Meyer. The Renegades are a syndicate of prodigies—humans with extraordinary abilities—who emerged from the ruins of a crumbled society and established peace and order where chaos reigned. As champions of justice, they remain a symbol of hope and courage to everyone... except the villains they once overthrew. I am guilty of judging books by their covers. But there are so many great ones and Renegades is no exception! It’s different and darker than the covers for The Lunar Chronicles and Heartless, but I like the color scheme and the silhouetted style. There’s almost a comic book vibe to the design. One of my favorite aspects of superhero (and supervillain) stories is learning about the different powers: how they’re acquired, what they enable the hero or villain to do, and what they change about the story world. I can’t wait to see which ones are featured in Renegades! 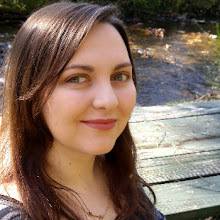 From The Lunar Chronicles to Heartless, the characters are my favorite part of Marissa Meyer’s books. They’re all unique and bring something memorable to their stories, and I’m hopeful the same can be said of these characters. 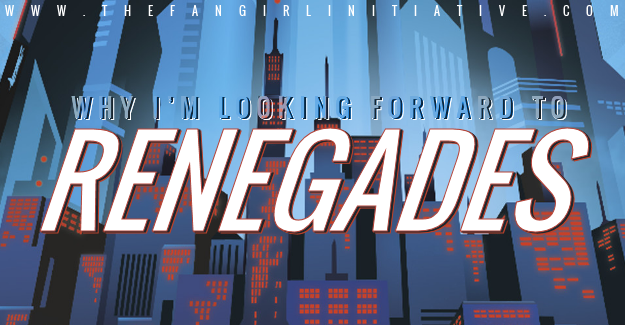 I’m eager to meet Nova, Adrian, and the rest of the Renegades cast and follow their stories! Which books are you looking for? What are your favorite superhero stories? Tell me about them!